Africentric Arts is a social club that engages children of all races and gender in various African cultural activities. Our values are driven by the sentiment of acknowledging, preserving and celebrating African cultures and heritage. Whether it's dancing to the rhythm of the drums, or learning to play the Djembe drums, our programs are designed to meet children’s level of understanding. We incorporate singing, arts & crafts, spoken words, and African folklore to grasp history easily, learn respect, gain identity awareness and most importantly have fun. The African race throughout history has been devalued, seen as a magnet for racism, discrimination, and demoralization. When we teach children at an early age to embrace their ethnicity or identity, they will eventually challenge the stereotypes and affirmed the values of their racial context. Teaching non-black children about diversity and expanding their knowledge about other people and culture create understanding, sensitivity to social issues, empathy and eliminate discrimination and segregation. Children who gain cultural awareness and tolerance of diversity will grow up to be forces of social change. Africentric Arts also work as a socializing agent that aims to defeat the negative perceptions and misrepresentation of Black/African people and brings out resistance factors that will influence children to internalize the uniqueness of Black/African culture and traditions and apply these understanding in all attitudinal and behavioral aspect of their lives with pride. To bring awareness, motivation, and pride to children through the teachings of African history, cultures, and traditions. Africentric Arts began as an effort in providing authentic African cultural Summer camp experiences for Kids in Toronto. In the summer of 2017, Francess Cowan a mother of a 9-year-old girl was frustrated by the lack of an African cultural camp. It all began when Francess who is an immigrant from Sierra-Leone, ask her 8 years old daughter who was born in Canada if she will like to visit Africa one day. Her daughter’s expression of uncertainty followed by negative expressions of emotions was not the answer Francess was expecting. She realizes that her daughter’s view of Africa and African people are intensely depicted by the overt representation she has received at just a tender age. 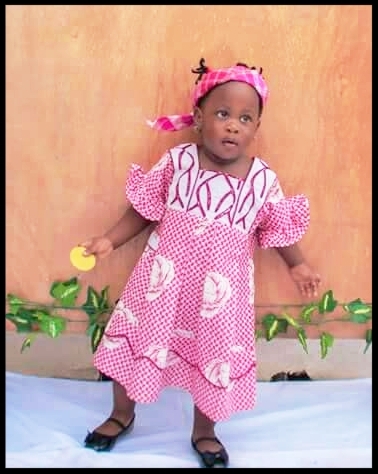 In the summer of 2017, Francess decided that her daughter will enroll at a camp where she will gain new knowledge about African culture and tradition. A lack of an authentic African summer camp prompts Francess to reach out to some of her friends, and form a partnership with The Concern Citizens of Sierra Leone organization. Throughout August of 2017, Africentric Kids Summer Camp started its operation at the York University Campus. Due to Africentric Kids Summer Camp's success and popularity, Africentric Art now caters for seasonal event.